E4TheFuture Gliding into the New Year. . .
Finding the “sweet spot” in skate skiing requires maximizing the efficiency of your glide. This requires balance – shifting your weight from one foot to the other to stay on top of your skis – as well as engaging your core, lifting your poles high, and keeping your head up so you can see what the trail brings ahead. Along with building endurance, mastering the glide makes it easier to ski up the mountain at a smooth pace, with the reward of a fast and fun descent awaiting on the other side. It takes time and patience to learn proper skate skiing technique, which I continue to work on despite years of practice. 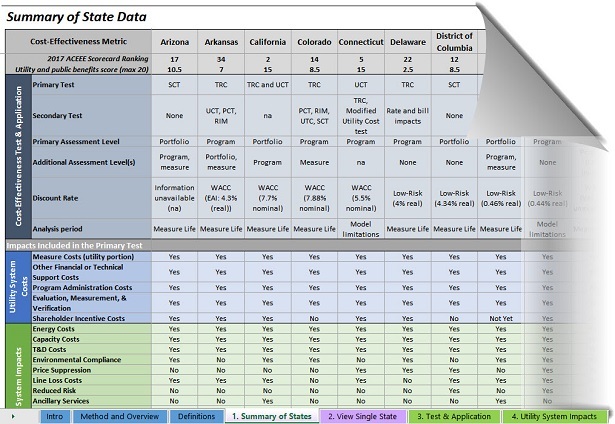 3) an expanded Database of State Efficiency Screening Practices (DSESP) which provides jurisdictions with ready-access information on current state cost-effectiveness (CE) testing practices and guidance to help quantify various energy efficiency impacts. Recently published resources show how the NSPM is being used in several states, where each state has approached the NSPM review process differently. In Arkansas, the Public Service Commission issued an order requiring that the NSPM be used to review current CE testing practices. This resulted in a report from the commission staff and a stakeholder group documenting whether, and to what extent, their state current practices align with the NSPM principles. In Minnesota, the Department of Commerce’s state energy office retained a consultant to write a report documenting the extent to which the state’s current practice aligns with the NSPM’s 7-step framework, and to recommend where improvements may be needed. In Rhode Island, the NSPM principles were applied to the state’s practices to identify gaps in alignment and to determine where follow-up research was warranted to address those gaps. In all cases, each state effort began with an articulation of its relevant policy objectives – an exercise conducted by commission staff and/or by a consultant, with input from key stakeholders. This foundational step of assessing alignment is core to the NSPM approach. These state examples demonstrate the flexibility and usefulness of a systematic, unbiased and policy-neutral approach to reviewing current CE testing practices. The NSPM provides a straightforward framework and set of principles to help a jurisdiction “test its test” and develop recommendations for any modifications that could help to improve alignment with the core principles. Returning to my ski analogy: Mastering the skate skiing technique requires aligning the leg, hip and upper body to maximize glide efficiency. Strong, steady balance is essential to allow full weight transfer from one leg to another to power the leg push. Likewise, the NSPM can help states develop a “state specific test” that aligns with their unique set of applicable policies, and can guide states in balancing their test by ensuring symmetry in the treatment of relevant utility and non-utility system costs and benefits. You may better understand my emphasis on alignment and balance when you check out the NSPM Case Studies, as well as state agency reports developed in Arkansas and Minnesota, and supporting presentations. Other states have launched processes to apply the NSPM, including Washington and Connecticut. Several additional states are learning about the NSPM through regulatory staff and utility /stakeholder presentations and discussions, and are actively considering next steps to apply the NSPM. NESP will soon introduce downloadable NSPM template forms. Jurisdictions can use these to apply certain steps of the NSPM. The forms are mainly borrowed from state case studies; we plan to post them to the NSPM Resources webpage in February. How Does Your State’s Practice Compare to Other States? The impetus for the DSESP resource originated in response to the publication of NSPM. Commission staff and other interested users commended the NSPM framework and core principles, but sought easier access to current practices, assumptions and methods used to account for a range of utility and non-utility system impacts. The DSESP aims to provide this transparency and access to data, while also identifying existing guidance on key CE testing inputs, as well as gaps in data needs and methodologies. Key guidance documents cited in the DSESP include impacts regarding utility system resilience, public and occupant health benefits, and economic development impacts.. The DSESP contains information on practices for 20 states. NESP will soon expand it to include data on other states. Research is ongoing to identify the underlying methodologies used to estimate impacts where primary research is conducted for a range of utility and non-utility system impacts. These findings will be incorporated into the DSESP in the next several months. I hope you find these NESP resources useful. Whether you work in a particular state or across states, I welcome your feedback on the resources. What is most helpful? What could be further improved? Do you see priority gaps in guidance? And if stakeholders in your state are interested in learning about the NSPM and its potential application, please let us know how best we can provide assistance by contacting us at NSPM@nationalefficiencyscreening.org. As for improving your ski glide, while I’m still working on my technique, I’d be happy to share some tips. . .